What to munch when watching the Queen's speech on Christmas day? I know, it's a dilemma. Maybe you're still ploughing through your Christmas lunch and you've not even torched your figgy pudding by that time. But if lunch is out of the way, it doesn't mean you need to stop the over-indulging. 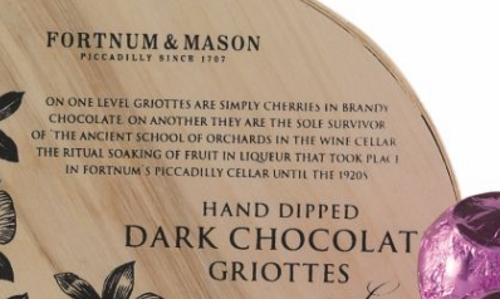 What about adding some nice Dark Chocolate Griottes to your Christmas hamper from our old chums at Fortnum & Mason to nibble when the speech is on? 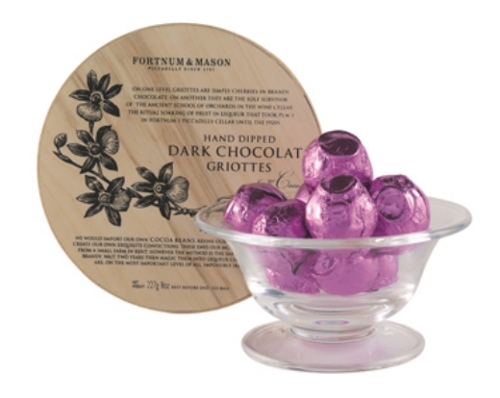 The griottes are handmade in England with Kentish Morello cherries. The cherries are steeped in brandy for three years, then dipped in fondant sugar to make a crisp casing, and finally dipped in dark chocolate. My word. The perfect Queen's speech accompaniment. England expects. 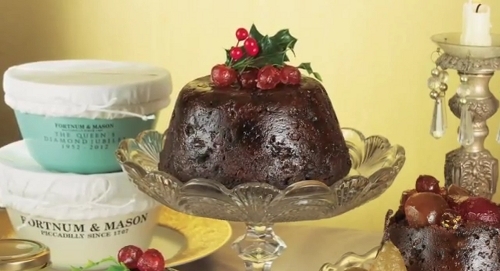 Here's a video of Tim French, buyer at F & M, explaining Fortnum's Christmas hamper methodology. The veneer boxes are made in England too! A veneer of respectability, indeed. Thanks Anon. Tweedy.